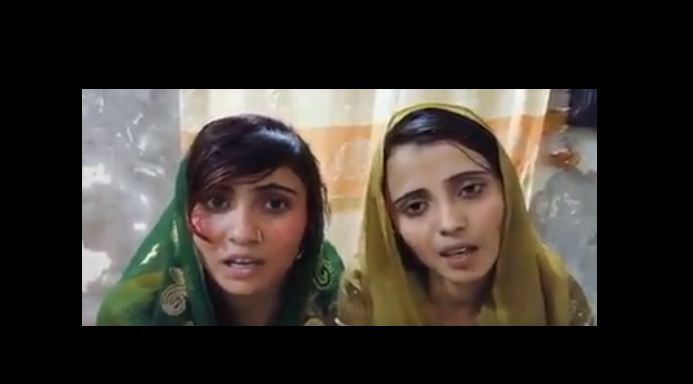 Two minor Hindu sisters were allegedly kidnapped and forcibly married after being converted to Islam in Pakistan’s Sindh province, triggering protests by the minority community. The two girls, 13-year-old Raveena and 15-year-old Reena, were allegedly kidnapped by a group of “influential” men from their home in Ghotki district on the eve of Holi. We demand the government to take up my bill and get it passed without any delay, he said. Goklani said: “The fact that the two girls were underage confirmed it was a crime and they couldn’t show free will on getting married or conversion to Islam”. “One of the accused persons has been arrested, while the police were conducting raids to arrest the others,” a senior police official of Ghotki district said.